Ron Tate, Jr. is a dynamic and results-driven supply chain executive with a demonstrated track record of achievement in strategic sourcing, supplier development, supplier diversity and sustainability, negotiations, budget administration, risk mitigation, category management, talent acquisition and development, vendor management, and Six Sigma methodologies. He has proven success at leading global brands in the financial services, insurance, consumer products, and airline sectors with extensive expertise in indirect spend, including real estate, marketing, human resources and corporate services. Proven aptitude for implementing effective solutions to reduce expenses, mitigating risks, and delivering value for key stakeholders. Ron joined Allstate in 2017 as Director, Professional Services Procurement to drive value creation and risk mitigation for over $2B+ total spend for the enterprise. 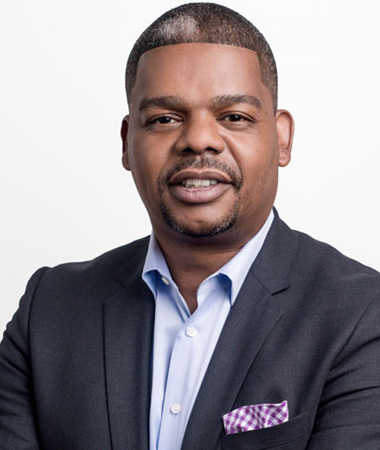 His focus areas include professional services, HR, marketing, and contact centers, as well as engagement in a critical Procurement Transformation effort. A native of Atlanta, Ron received his BA with honors from Morehouse College in 1991. After additional work experience as a District Sales Representative with Pfizer and a Marketing Intern with Merck & Company, Ron earned his MBA in Marketing from Florida A&M University in 1995.